Everyone has their own on take on Tinola, so feel free to add your own twist. Here’s mine 🙂 Gather your ingredients: bones from 4-6 chicken thighs or 2-3 bone-in chicken thighs, bok choy, ginger, onion, garlic, S&P, olive oil, and water. You can add either diced chayote or potato (Chayote is a green squash with the texture and consistency of a potato). 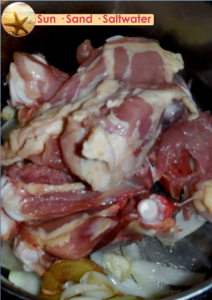 The base of this soup comes from all the goodness in the chicken bones – so if you have some extra bones lying around, which I do quite often, use those. When I make my Paleo fried chicken, I de-bone them and keep the bones in the freezer for a rainy day. If not, you can use bone-in chicken thighs. I don’t recommend making this with boneless chicken because you’re going to be missing that extra flavor in the soup. If you want to add in some extra protein and have some shredded chicken handy, use that as garnish. Crush 3 slices of ginger and garlic to extract flavor. Roughly chop the onion. Add oil to a medium pot over medium-high heat. 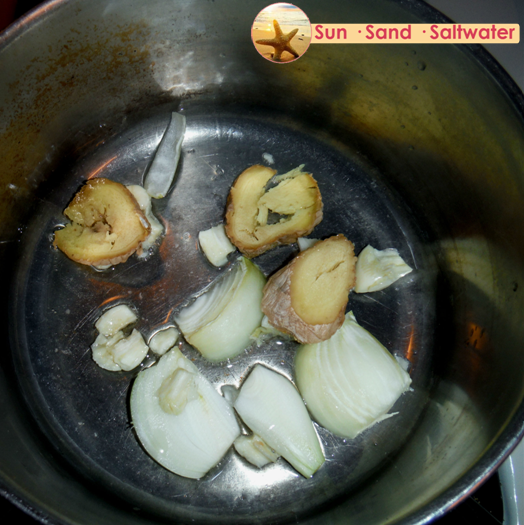 Saute the ginger, garlic, and onion until soft. 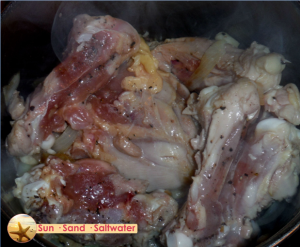 Add chicken bones or chicken thighs and cook for about 5 minutes. You want to brown the meat a bit so it takes less time to cook once you add the water. Completely cover the meat with water and bring to a boil. 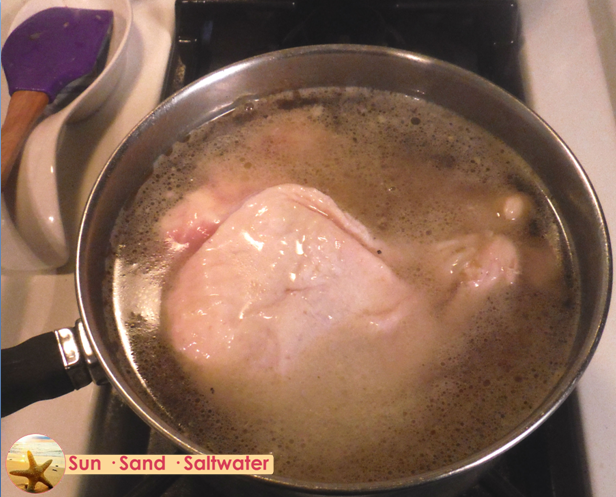 Once boiling, reduce the heat and simmer for 40-45 minutes. 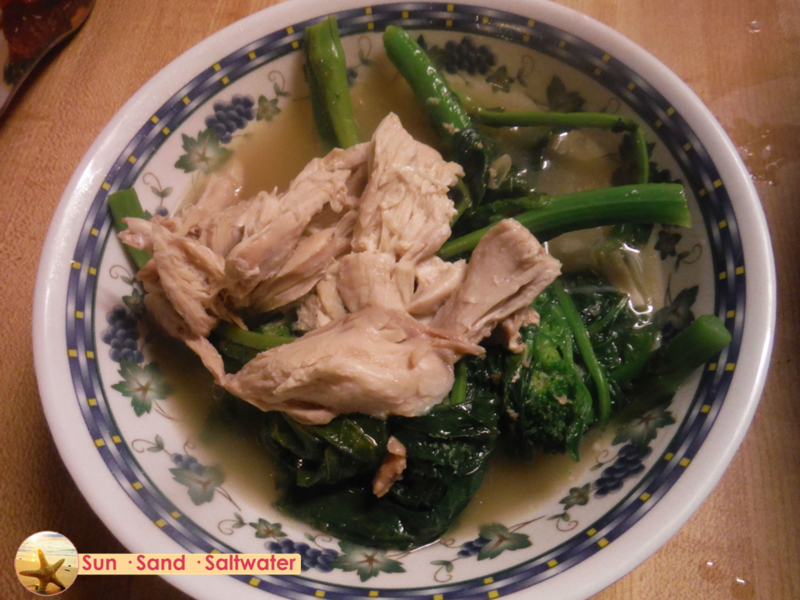 Add bok choy or Chinese broccoli and cook until wilted. 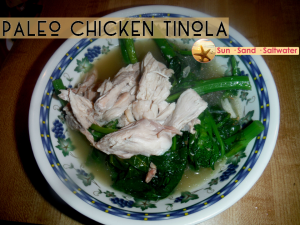 For Paleo, serve with shredded chicken or serve over rice. 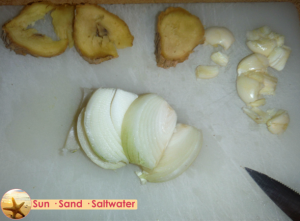 Slice the ginger and crush with knife handle to extract flavor. Peel and crush garlic. Heat olive oil in a medium soup pan over medium-high heat. Sauté for about 6 minutes and add in the chicken bones. Cook another 5 minutes, stirring occasionally. Add water to the pot, covering the ingredients completely. Bring to a boil. Once boiling, reduce the head to medium. Cook for 40-45 minutes until the liquid reduces halfway. Add more water if needed. 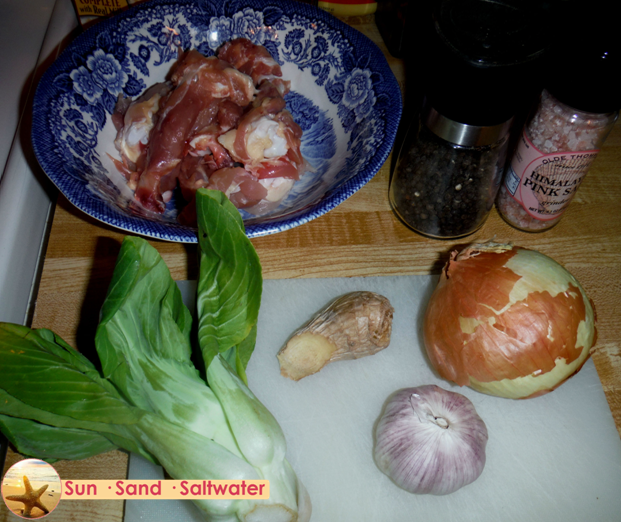 Add the bok choy or Chinese broccoli and cook until wilted, about 7 minutes. Serve alone for Paleo, or over rice. Enjoy!